The balance scale found in 2013 in Central Norway solves an unsolved mystery: In the Viking Age there existed a trading center that had access to Europe’s treasures. The place is mentioned in several sagas, but has never been found. Localized in the innermost part of the Trondheimsfjord, 85 kilometers northeast of Nidaros (Trondheim today), Steinkjer was a natural place to trade – and when the European route E 6 was going to be upgraded, archaeologists from the Norwegian University of Science and Technology by chance found the answer to the puzzle. When a silver button and a balance scale emerged from the soil, the archaeologists understood that they had found evidence of an important trading center. The findings came from two separate boat graves on a farm south of Steinkjer in an area called Lø. 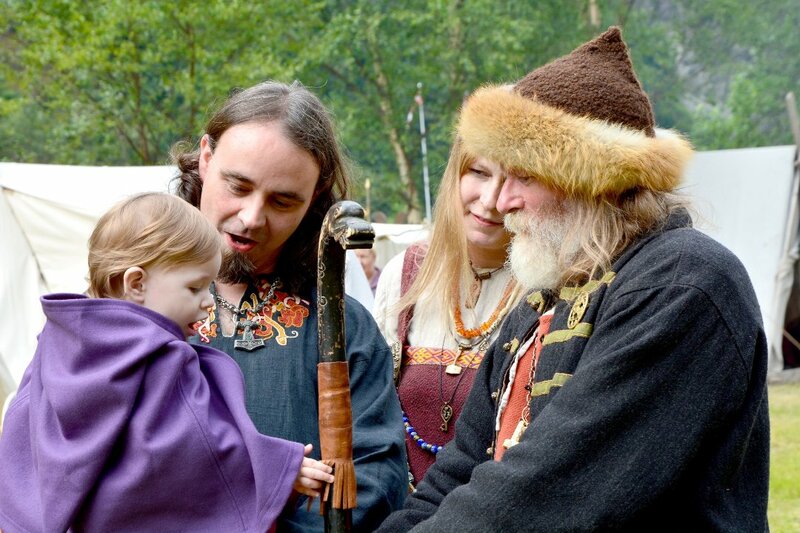 In the sagas it is told that under Eric Haakonsson (c. 957-1024, Earl of Lade, Ruler of Norway and Earl of Northumbria), Steinkjer in a shorter period had greater importance than Nidaros. This was before Olaf Haraldsson (c. 993-1030 AD) restored the town as a royal residence and trading center. In the sagas about Olaf Haraldsson (Olaf the Holy), it is described an important commercial center in Steinkjer that was bigger than Nidaros. But until archaeologists started digging in Lø, they had few clues where the important place was located. 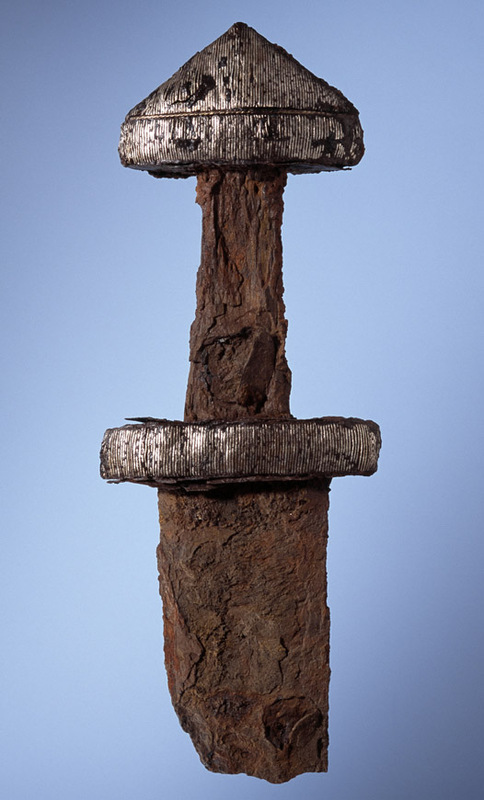 In addition to the balance scale, it was also found a variety of imported beads, jewelry and 22 examples of the so-called H-swords. 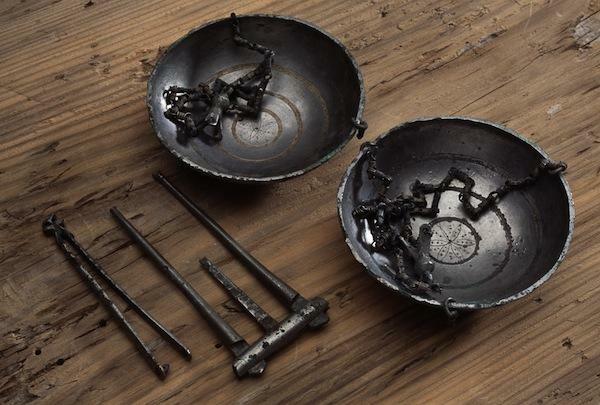 Although the imported items suggest that Steinkjer was an significant trading place, the silver button and balance scale in the boat graves are the most important findings. The silver button is made of braided silver threads, and probably stems from the British Isles. The button indicates that the person in the grave had high status. The balance scale found in the other boat grave was constructed in a way that makes the archaeologists believe it also came from the west, and not from Norway. All these findings support the location of a major trading center in Steinkjer, but where was the exact spot? Here, archaeologists only can make an educated guess. Based on the fact that a thousand years ago the sea level was four or five feet meters higher in this area, the location of the current Steinkjer Church was the most logical place for a Viking trading center – located in a short distance from the Trondheimsfjord and the Stenkjerelva river.